1 December 2017 – Life Is Such A Sweet Insanity. Last night after work Earl and I took the train downtown to visit Macy’s on State Street, which in the local vernacular is called Marshall Field’s, after the original department store, Marshall Field and Company. A huge building that takes up a whole city block, we had heard that there are some amazing Christmas decorations at Marshall Field’s, though they’re not as good as they used to be since Macy’s bought the chain and changed the name in 2006. Honestly, the decorations are beautiful. The window displays are gorgeous, the decorations through the huge building are quite nice and honestly the spirit was fairly festive for a Thursday night. I’ve read quite a bit about Marshall Field’s over the past few months of living in Chicago and there are many people that are still quite attached to the name and a little bitter about Macy’s taking over the space. Marshall Field’s was Chicago, Macy’s, is well, Macy’s. There’s nothing really special about Macy’s, especially in today’s retail climate. That being said, the State Street location is well stocked, has a vast selection, seemed rather clean and there were plenty of salespeople to be found. On the other hand, the gorgeous building, complete with an old-school impulse clock system wired throughout, is starting to show signs of a lack of upkeep. Marshall Field’s was immaculate, Macy’s is, well Macy’s without the mall. Maybe I’m just a nostalgic guy. 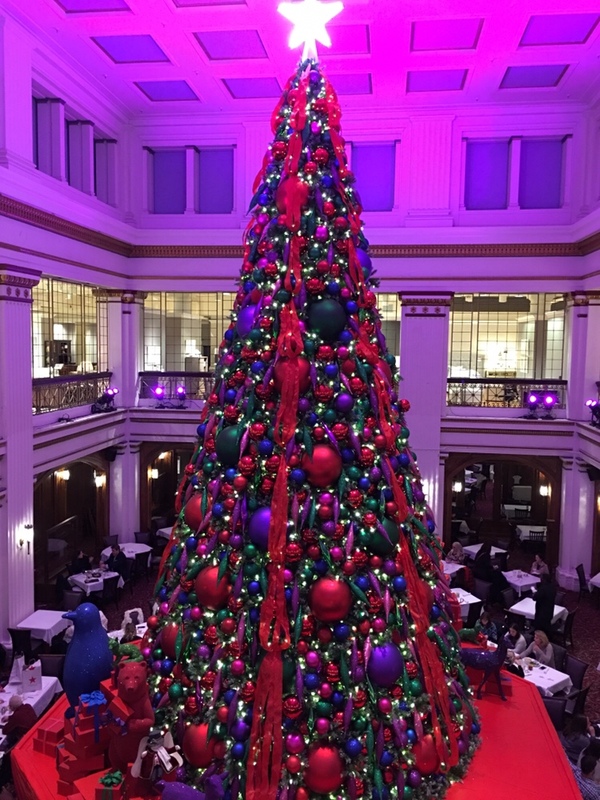 Overall, the visit to Marshall Field’s was quite enjoyable and it helped me find my holiday spirit. I’m getting there. I’m looking forward to the holidays at our new home in Chicago. And since it’s already December 1, I should really go out of my way to find my holiday groove.